We want to thank all of our loyal followers who have been writing in about our Recipes. All of our recipes are health conscious and actual recipes we recommend for our clients and athletes. This of course depends on their sport and nutritional goals, but you can see the types of foods you can still have and still reach your goals! This week we have decided to offer you a dinner option. We hope you enjoy and if you like it please share on social media or with your friends! 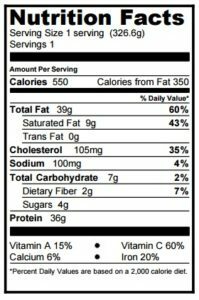 This is the nutritional information per serving. This recipe is makes 6 servings. Chop pepper, mushrooms,onions, and zucchini. Combine olive oil, wine, vinegar, shallots, garlic, marjoram, oregano, basil and pepper in medium bowl; whisk to combine. Combine London broil and 3/4 cup marinade in large resealable food storage bag. Seal bag and turn to coat. Marinate up to 24 hours in refrigerator, turning once or twice. Combine vegetables and remaining marinade in separate large food storage bag. Seal bag and turn to coat. Refrigerate up to 24 hours. turning once or twice. Preheat broiler. Remove meat from marinade and place on broiler pan; discard marinade. Broil 4 to 5 inches, from heat about 9 min. per side or until desired doneness. Let stand 10 minutes before slicing. Cut meat into thin slices. While meat is standing, drain marinade from vegetables and arrange on broiler pan. Broil 4 to 5 inches from heat about 9 min. or until edges of vegetables just begin to brown. Serve meat and vegetables immediately on platter.